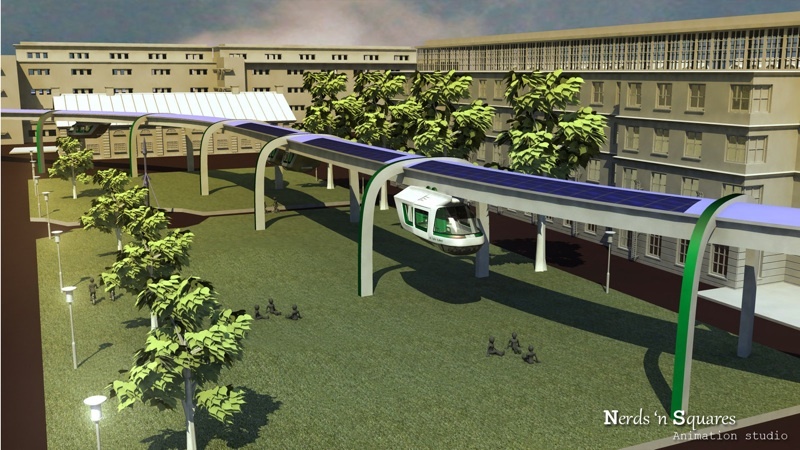 The University of Johannesburg Civil Engineering senior capstone project for 2017 is to design a solar-powered, suspended podcar network for Johannesburg under the sponsorship of Futran Systems. The 8 student teams are designing routes, structures, and stations, with attention to structural engineering, geotech, water systems (such as toilet facilities for passengers), and more. As a pioneering academic institution in this emerging field, UJ is also developing a curriculum for advanced studies in sustainable public transit. The project teams have been informed about the SPARTAN Superway, another pioneering parallel initiative at San José State University in Silicon Valley.